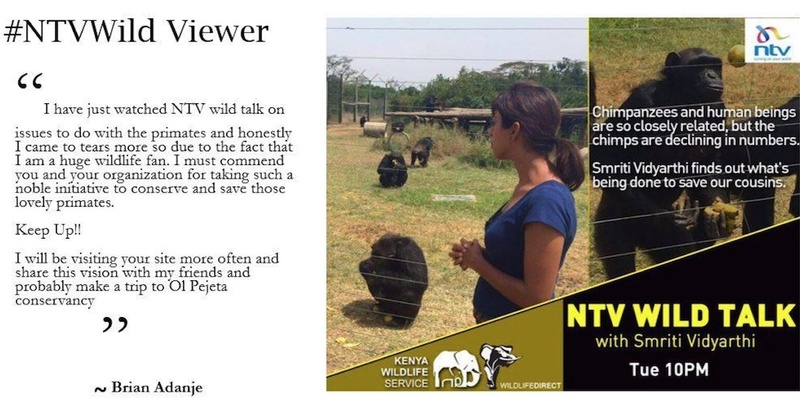 On 5th and 9th July a Kenyan television station, Nation TV (NTV), featured a 45-minute segment on its NTV Wild programme that toured Sweetwaters Chimpanzee Sanctuary on Ol Pejeta Conservancy. Several staff were interviewed along with the PEGAS Project Manager, who explained to viewers the tragic problem of illegal great ape trade. The video of the programme can be viewed here https://www.youtube.com/watch?v=gMQqLe5CSOs.